Ewhurst Green (not to be confused with the larger village of Ewhurst or the similarly named Ewhurt Green) is a small hamlet near Bodiam, in East Sussex, overlooking historic Bodiam Castle in the valley far below. 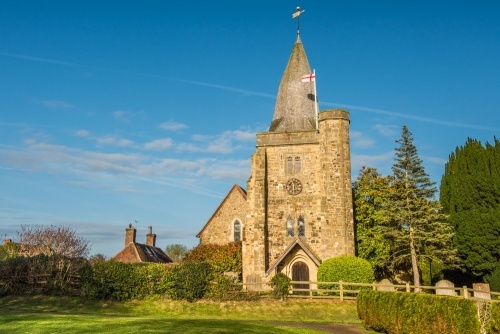 In the centre of the village, just off the green, is the parish church of St James the Great. The oldest parts of the church are 12th century, with major additions in the 14th century. 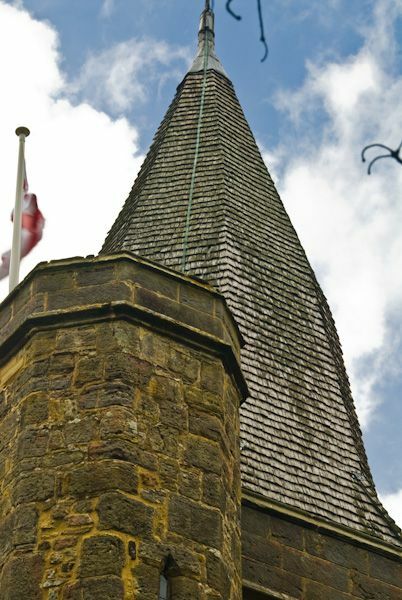 The most striking feature of the church is readily apparent; it is the oddly shaped shingled spire, with a steeply raked lower section that is oddly truncated by a more abruptly angled upper section. It used to be thought that there was originally a much taller spire and that after that was struck by lightning the current timber-framed spire was reconstructed at a much different angle than the original, giving the whole its rather unusual shape. Now, however, it is thought that the spire was always the way it looks now. 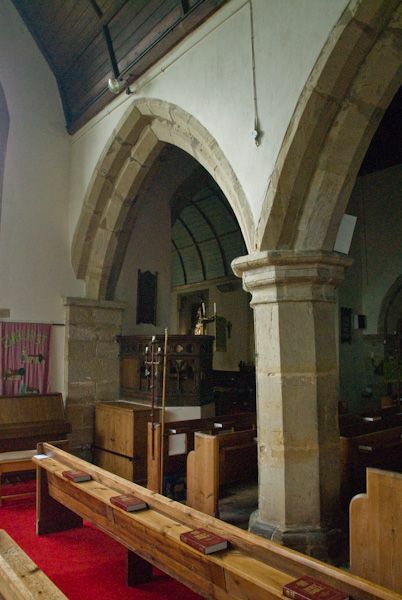 Within the church, the nave arches are of Norman construction. 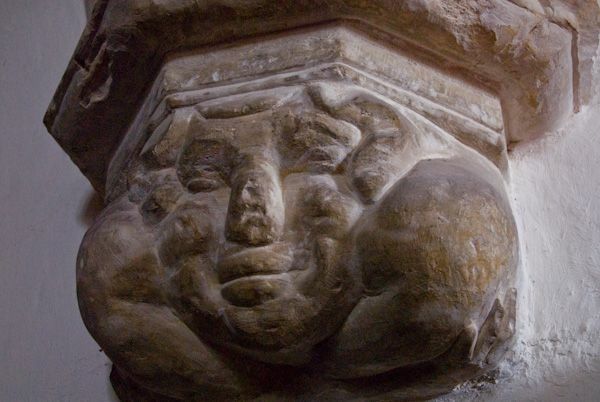 The most intriguing medieval feature of the church is a carved corbel at the west end of the north arcade, by the tower arch. This is a very odd carving of a grinning face with a very satisfied smile, flanked by folded arms. 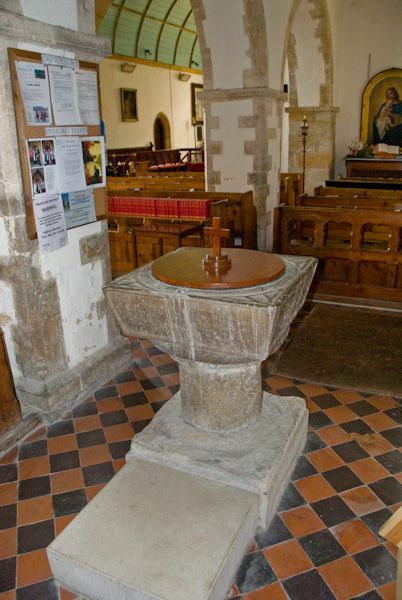 In the south aisle is a medieval piscina with a trefoil head. At the west end of the aisle is the square font, built of Petworth marble. 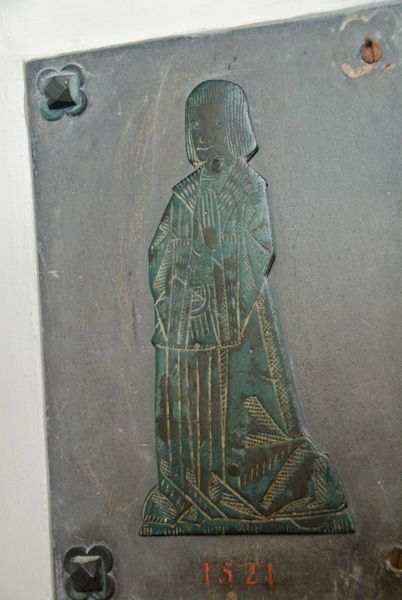 This has been dated to the 12th or perhaps, the 13th century. There is a poignant story attached to the window just by the font. A local boy named William Jacobsen was saving up his money to buy a corona, or lamp holder, to donate to the church. When William died by drowning in 1905, at the age of only 6 years, his parents used the money he had saved and made up the difference to buy the corona which now hangs in the nave. 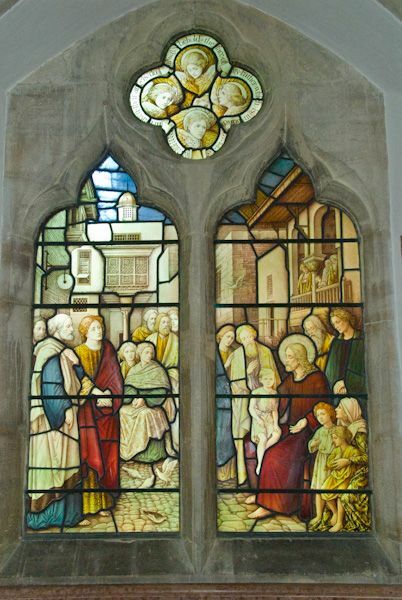 They also built the window, with a memorial at the base for William, and stained glass showing him sitting on Christ's knee.